PlayerUnknown's Battlegrounds' new desert map is still many months away, but the game's players are still very excited about it. We've seen numerous teaser images of the map, but no real information has come out about it—until today, thanks to a post on Reddit. 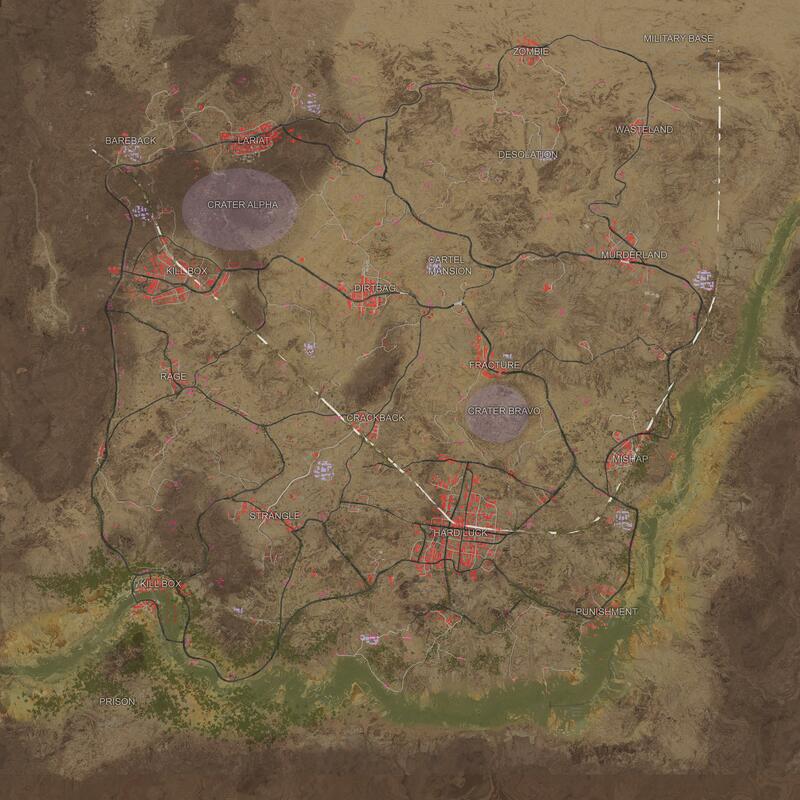 The minimap for the new unnamed desert map has been revealed via a test server datamine, and it looks pretty cool so far. The map has some very interesting names for towns and cities in place. The biggest city is known as “Hard Luck,” with other areas labeled “Kill Box,” “Wasteland,” “Mishap,” and “Murderland.” These names are likely placeholders, but they definitely invoke a certain kind of mental image, don't they? The layout is different enough from PUBG's original map, Erangel, while being similar as well, with numerous towns and cities with large open areas and small towns in between. Brendan “PlayerUnknown” Greene recently revealed that this new map will be “roughly” the same size as Erangel, as well as posting a teaser image of what looks like a large city—most likely the “Hard Luck” area seen on the map.